Animated exploding white 3d music notes 2 in 4k. Transparent background - Alpha channel embedded with 4k PNG file. 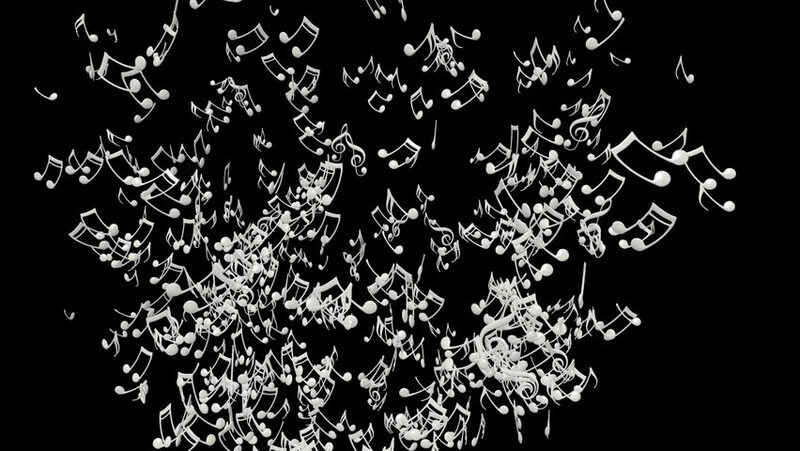 hd00:05Animated exploding white music notes on transparent background 2. Each music note is a 3d model with light reflection on surface. (Alpha channel embedded in HD PNG file). hd00:11A bunch of shiny diamonds on a mirror, reflecting a blue light. 4k00:11Golden Confetti Party Popper Explosions on a Black Backgrounds. hd00:10Crystal clear drops rotate over black background. Bullet time effect. Computer generated image. 4k00:10Abstract particles with trails. 4K UHD animation.